Owned and operated by Michael B. Haberman, LPI, Specialty Private Investigators, Inc. is a Pittsburgh, Pennsylvania based private detectives and private investigators company. Since 1995, Specialty Private Investigators has been developing new investigative sources, refining the quality and appearance of their reports, and implementing innovations like video into their transmitted reports. Staying on top of the last services, technologies, and trends allows SPI to provide the most cost effective investigative services available. Specialty Private Investigators is always striving for excellence. Clients are the number one priority and proper, clear communication with them is an essential aspect of business. Because of this, private detectives and clients are included as partners in analysis and assessment and clients are kept informed on each assignment’s progress. You’ll never be kept in the dark about problems that could threaten an assignment’s objectives. Adapting to circumstances is essential to success. 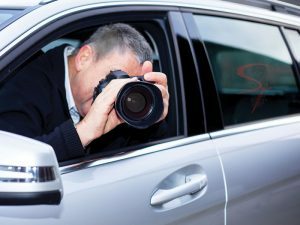 Specialty Private Investigator’s process is unique to each case, evolving with the behavior and habits of subjects, because surveillance is never a nine to five job. When you hire SPI, you’ll be working with committed professionals who conducted investigations with the utmost discretion and integrity. When Pennsylvanians need dedicated surveillance and investigative services done right, they know who to turn to. Are you interested Specialty Private Investigator’s services? You will be able to choose from an extensive list of investigative services. tailored to accommodate the special requirements of each client. Please feel free to reach out today with any questions you may have.